Before referring patients to a palliative care service, oncologists need to inform them about disease stage and discuss prognosis, treatment options and possible advantages of specialized palliative care (SPC). They often find this a complex and emotionally difficult task. As a result, they may refer their patients to SPC too late in the disease course or even not at all. This study reports findings from interviews with Belgian medical oncologists identifying the barriers they experience to introduce palliative care to their patients with advanced cancer. The interviews were semi-structured with open-ended questions and were supported by a topic list. The transcripts were analysed during an iterative process using the grounded theory principles of open and axial coding until a final coding framework was reached. 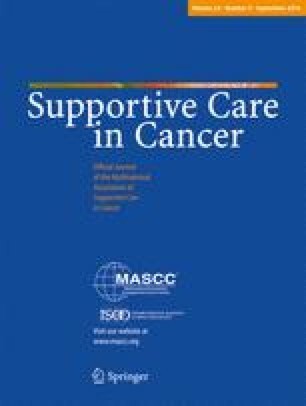 The study identified seven heterogeneous categories of barriers which discourage oncologists from discussing palliative care: oncologist-related barriers, patient-related barriers, family-related barriers, barriers relating to the physician referring the patient to the medical oncologist, barriers relating to disease or treatment, institutional/organizational barriers and societal/policy barriers. These categories are further refined into subcategories. These findings provide an explanation for the possible reasons why medical oncologists feel hampered in initiating palliative care and consequently discuss it rather late in the disease trajectory. The exploration and description of these barriers may serve as a starting point for revising the medical education of oncologists. They are also a reminder to hospital management and policy makers to be aware of the impact of these barriers on the daily practice of oncology. The authors would like to thank the BSMO for their support in recruiting participants and would like to thank all the participating oncologists. The authors would like to thank Stein Kaasa and Florian Strasser for their expert advice and Jane Ruthven for her language editing. We thank Mark Leys for his valuable contribution and methodological assistance and we thank the editor and the anonymous reviewers for their insightful comments on the paper. The authors have declared no conflict of interest. We have full control of all primary data and agree to the journal to review the data if requested. This study was financially supported by the Research Foundation Flanders (FWO); Grant number: G035813N.